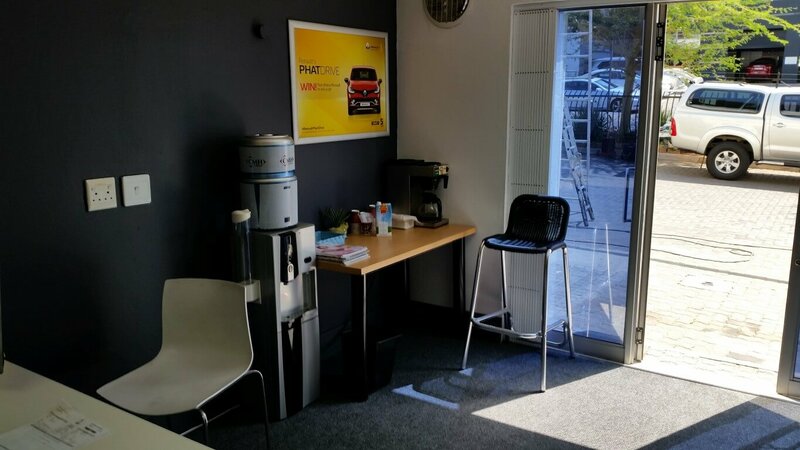 CMH Renault Midrand’s service clients will remember our service department and warranty department being propped in a corner of the sales floor like some abandoned and forgotten stray, totally out of place and not at all what you would expect from a flagship dealership such as ours. Well, good news, we have finally finished our allocated building for the service department, and they are moved in, settled and ready for your business. 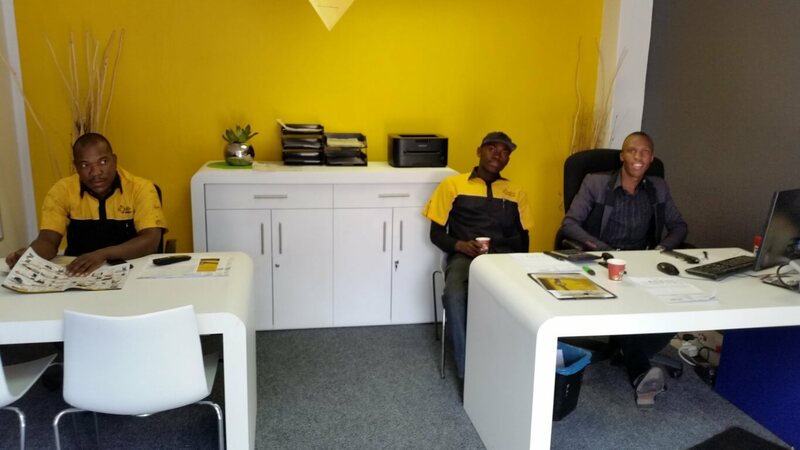 Our service reception is warm and inviting, with coffee freshly made and ready to wake you up before your long day starts. We also have a vending machine with ice-cold cold drinks on hand for the hot days when the running around leaves your throat scratchy and dry. Elias Manyathela is your friendly service advisor on call, and he is ready to look after anything you might need with regards to servicing and repairs, while Caren Van Der Walt is ready to assist with any warranty queries you might have and to process your warranty claims with her calm, friendly mannerism and she always has a laugh ready to brighten your day. Danie Burger is the workshop supervisor, and he will make sure that your vehicle is well taken care of and serviced or repaired to your satisfaction. 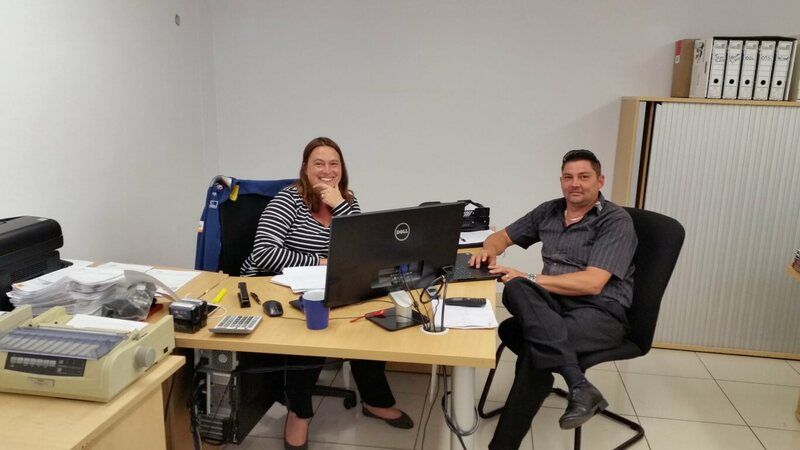 Danie has been with our service department for only a few months now, but he has settled in well and knows exactly what needs to be done. He is friendly, approachable and ready to assist you with whatever you might need from him. Dean Nell heads up the workshop along with the rest of the capable and very professional crew, and he is also here to make sure that nothing falls short of the mark. 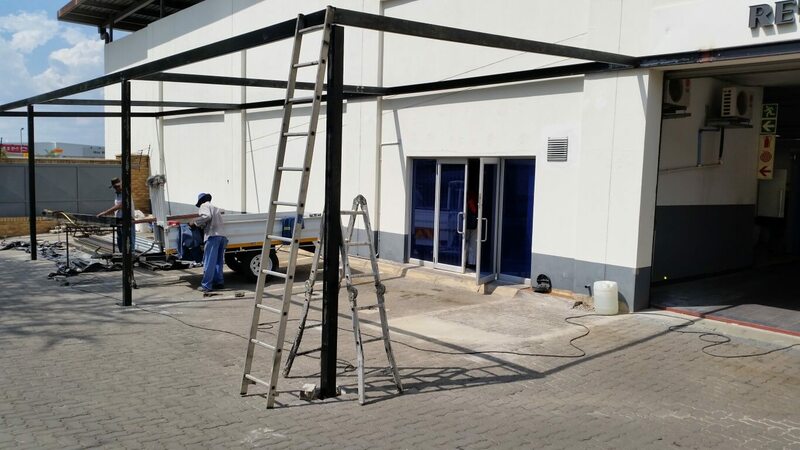 As you will see in the photos, we are still busy with the outside construction, we are putting up a roof to liven up the parts entrance and give you some comforting shade when you bring in or collect your vehicle. Construction will be completed shortly and signage put up, but don’t be fooled by the rough exterior, inside will be a breath of fresh air.